Today we filed this First Amendment lawsuit arguing that the government can’t censor truthful, non-misleading speech—even if it has to do with :: gasp:: alcohol. 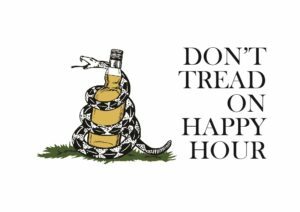 In Virginia, it’s perfectly legal to have happy hour, it’s just not legal to talk about it. The state severely restricts the way restaurants can advertise their happy hour specials under the state’s antiquated and paternalistic happy hour speech code. PLF client Geoff Tracy is the owner of three restaurants in the Washington DC metro area—one in DC, one in Maryland, and one in Virginia. 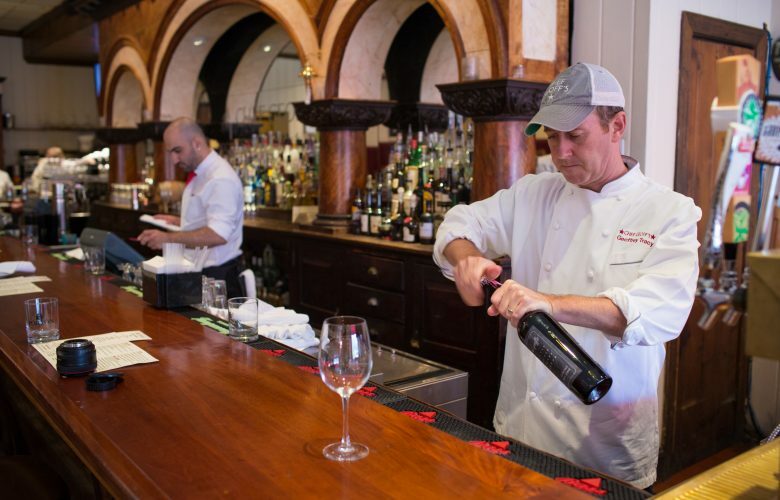 He simply wants to advertise happy hour at his Tyson’s Corner-based Chef Geoff’s restaurant the same way he does at his other two restaurants: by providing truthful information about his legal business practices to the public. But Virginia makes that a crime. of any happy hour drink, and it forbids restaurants from using any term to describe its offerings other than the generic “happy hour” or “drink specials.” That means that Chef Geoff can’t advertise his half priced bottles of wines on Wednesday as “half-off on Wednesday Wine Night.” It also means that happy hour advertising is essentially rendered useless. The Constitution, however, prohibits this kind of censorship. The Supreme Court has repeatedly struck down laws that censor truthful information, even if enacted purportedly for the public’s “own good.” That’s because the free flow of information benefits the exchange of ideas and allows consumers to make informed decisions. If the government wants to curb drinking, it can engage in public education campaigns about the dangers of irresponsible alcohol consumption. It cannot, however, stifle speech; there’s simply no “vice” exception to the First Amendment.